Belle of the Literati: I'm Fine, You're Fine, We're All Fine...Right? I'm Fine, You're Fine, We're All Fine...Right? Wow. This book. This book is one of those magical books that makes me remember why I love reading. It made me feel to the deepest part of my heart how characters and their stories can change you. This book is about Eleanor who is quite different than the average bear. She lives alone, has zero friends, is awkward in her social interactions, and the only people she talks to her coworkers who aren’t very kind to her and her mother who calls once a week. Her voice sounds very traditional in it’s viewpoint, stuffy, if you will which makes it sound like it would be difficult to connect to her as a reader but I found the exact opposite to be true. I fell in love with Eleanor’s voice. Her awkwardness. Her stilted, old-fashioned way of speaking. Her odd views about social interactions. Everything in the first few pages of this book leads you to believe that the title is absolutely not true. Eleanor is lonely. Lonely in a way that is bone-deep and crushing and an abyss you believe you will never get out of alive. 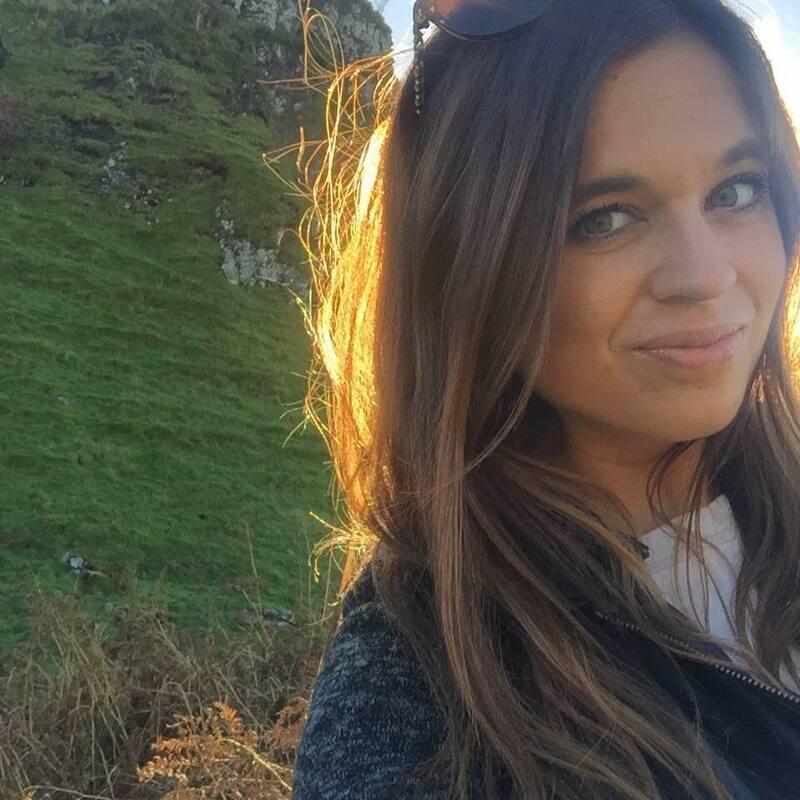 Her situation and her thoughts about her life broke my heart, you guys. Broke. It. In. A. Million. Pieces. I think that every reader at time or another can relate to Eleanor’s loneliness and sense of apartness. I believe that we all, at one time or many, feel as if nobody understands us, that we are completely and utterly alone in our feelings and that is why I was rooting so hard for her. She made me so sad yet so hopeful. Eleanor is a character you cannot help but root for and that is also what made this book so special to me. I love complex characters that are fleshed out and imperfect. Eleanor is one of those characters and will always hold a special place in my heart. The plot of this book are character-driven, go figure if you read my last paragraph. It is about how one moment of differentness changes Eleanor’s entire life trajectory and I.was.here.for.it. If you’ve read Jane Eyre—YOU HAVEN’T READ JANE EYRE, WHAT IS WRONG WITH YOU FIX IT IMMEDIATELY—then you will see a lot of parallels and similarities between not only the heroine but the plot as well. I haven’ tread JE in years but even I could point out a few of the parallels and I loved it! Huge nod to the book is that Eleanor’s favorite book is—wait for it—Jane Eyre. I had a giggle to myself about that insertion which non-Jane Eyre readers would miss but IF you haven’t read JE, I know you can still fall in love with this book…but still add Jane Eyre to your TBR because you are missing out. 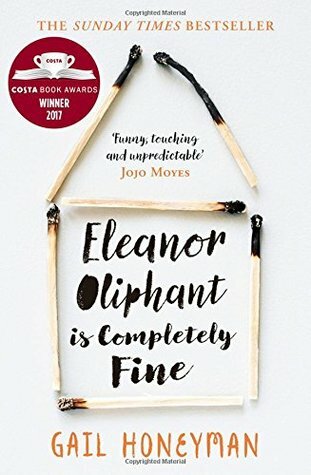 ELEANOR OLIPHANT IS COMPLETELY FINE is a book that made me want to be a better person. Reading about Eleanor being treated unkindly by her coworkers because she’s a little odd broke my heart. The reader knows Eleanor and her inner voice and obviously her coworkers do not but still, it made me so sad. I try my hardest in life to be open-minded which I think I succeed at 95% of the time. But I’m human, I’m imperfect, and I cannot help the initial scanning over somebody or speaking with a random person and the snap judgement my brain makes about them in that first 0.0007 seconds. My future interactions obviously change my opinion of them, or maybe it doesn’t, but it made me realize all the small ways I judge people even if it’s quick and fleeting. I do not know their story. I am not their judge and jury. Only One is and it made me want to try and fight my brain and truly try not to make a snap judgement about somebody I just met because we are all fighting our own battles and do not need the unkindness of strangers to add to our plate. This book made me want to be better. In short, I can really only end this review in one way with one sentence…Reader, I loved it. If you love character-driven novels, stories that aren’t always what they seem, and one amazing heroine. ...this book is for you. I have to be in a certain mood to enjoy a contemporary read, but this sounds wonderful. I love books that stay with you, long after you've finished reading them, and this sounds like it could be that kind of book. While I haven't read Jane Eyre (I know, I know! ), Eleanor's awkwardness sounds endearing in a way I'm sure I could relate.